Choose from 3 hotels and guest houses in Western-Isles. Shown below a just a selection of the hotels available. To search within an area please use the menu on the right. Caladh Inn - Stornoway's largest hotel is closest to both the ferry and the airport, providing an ideal base for a trip to the islands and priding itself on a warm welcome. 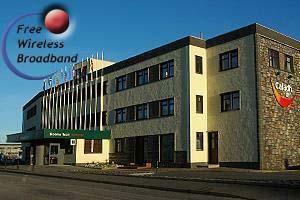 The Caladh Inn provides free Wi-Fi broadband internet access. Situated close to the centre of town, the Caladh Inn has a prime location that makes it special and offers real value. It prides itself as much on the warmth of the welcome as the excellence of the service. The restaurants offer both a traditional Scottish dinner and cuisine with an international flavour. Royal Hotel - Stornoway's most historic hotel, the Royal nestles in the heart of Stornoway, beside the marina, where you can relax, enjoy the hotel's cosy character and enjoy dining in our Boatshed Restaurant or in HS1, the town's 1st cafe bar. If on business, you'll probably appreciate free wireless internet access available throughout the hotel. What matters so much more than bricks and mortar, though, is the warmth of the welcome and the friendly, easy service you'll receive - for the Hebrides has a great tradition of hospitality. While the Royal Hotel enjoys a delightful view over the colourful, bustling harbour to the splendour of Lews Castle and its grounds. The town centre is only around 200 metres walk.